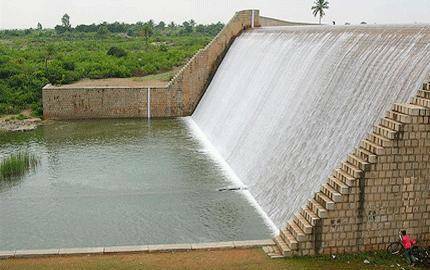 Artificially made across river Suvarnamukhi, Gayatri Jalashaya is another dam in the Chitradurg District. It acts as a reservoir for the surrounding villages. This often neglected dam is a perfect picnic spot on a cold afternoon for those looking to endlessly stare at the water body. It can also be a marveling experience to cycle around the dam due to its structural built.